Following the success of the visit of AGRA delegation visit in Israel led by their president, Dr. Agnes Kalibata, the Start-Up Nation Central delegation traveled to Rwanda. This trip was a fact-finding mission to gain a deeper understanding of the current tech ecosystem, and what would be required both to build and strengthen it, using Israeli technology, and Start-Up Nation Central was offered huge support from the Rwandan Tech Ecosystem. The delegation was also joined by the AGIS Consultancy from Johannesburg and held two full days of meetings with players relevant to the tech ecosystem, and various government individuals. 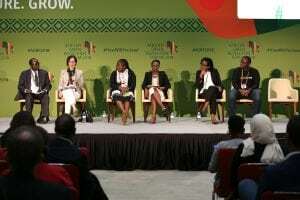 One of the main purposes of the delegation’s visit to Rwanda was their attendance at AGRF, the African Green Revolution Forum (AGRF) conference, a platform for global and African leaders to develop actionable plans that will move African agriculture forward. On behalf of Start-Up Nation Central, Prof. Eugene Kandel signed an LOI with Dr. Agnes Kalibata, President of AGRA, setting the stage for a solid ongoing relationship, in which Israel can provide innovative technology to AGRA’s eleven active African countries. During the course of the conference, Wendy Singer, Karin Gattegno and Shira Goldblum participated in various panels and media discussions. 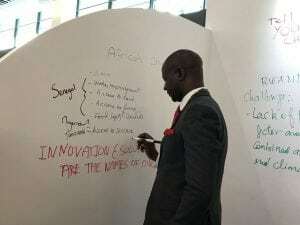 This was the first year that the AGRA conference has had an Israeli presence, a fact remarked upon in several sessions, in particular by Strive Masiyiwa, Chairman of Econet and Chair of AGRA. Start-Up Nation Central had a booth, with three Israeli start-ups (Amaizz, Biofeed and SupPlant), and were also joined by Farmster, Groundwork Bio, the Volcani Institute, N-Frnds and Netafim. Thanks to Start‑Up Nation Central, AGRA’s first Israeli presence was a very strong one, causing much excitement for the 2700 AGRA attendees.